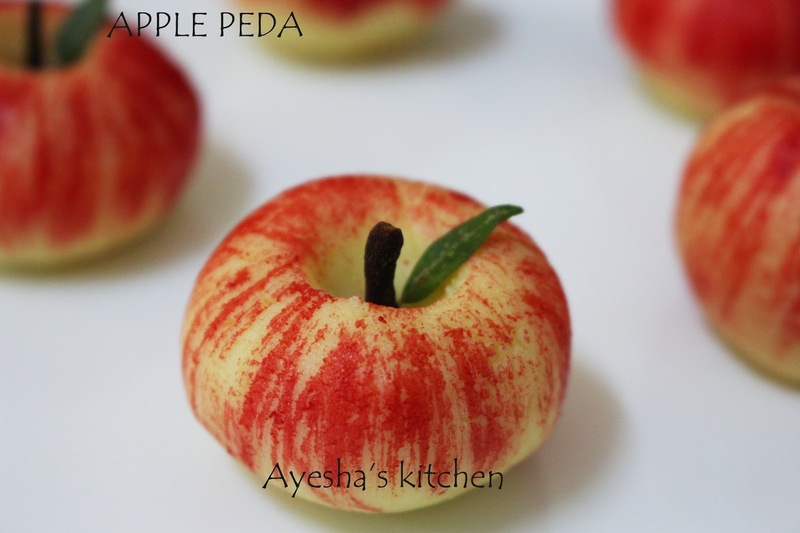 Apple peda / Apple milk peda / Apple milk fudge is a very easy cute apple shaped milk peda which is made with milk powder, milkmaid, and milk. An easy sweet recipe with handy ingredients. This same peda can also be made with paneer or mawa / khoya. For coloring, i used less than a drop of red food color mixed in 1 tsp of water and you need a paintbrush tool to paint on the pedas. It's quite interesting...This is less time consuming recipe and takes only 20 minutes approximately. Do try this yummy sweet and surprise your kids and loved ones. Enjoy cooking.!!!! In a pan add milk powder, condensed milk, warm milk and whisk well without any lumps. This should be done before switching on the flame. Now switch on the flame to medium low and stir continuously with whisker for avoiding lumps. Cook until it starts to leave the sides of the pan. Once it starts to leave the sides of the pan, add melted butter and give a quick mix. Cook until you acquire a thick sticky consistency. When done switch off the flame. Let it cool down for 10 minutes. Grease your hands, smoothen the dough well with your hands and make small balls, dig a small dent on the top center of each peda with the finger. These all should be done when the mixture is warm. 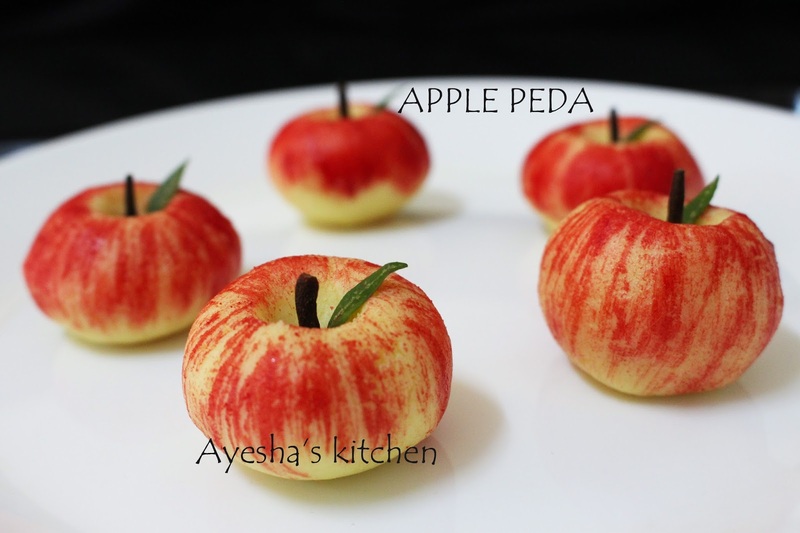 Insert a clove upside down in it, and with help of a brush paint the peda with red food color same like a small apple. Repeat the same until the entire mixture finishes. Set aside for at least one hour or keep refrigerated for best results. The pedas will be chewy while eating immediately, but after one hour you will get the perfect texture.